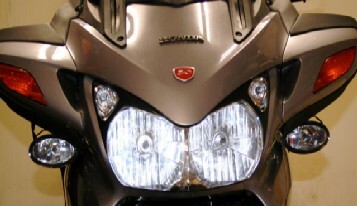 to improve the amount of light by alternatively flashing two Hella FF50 Driving lights. These are mounted underneath the mirror caps of my 1300 (see the pictures). 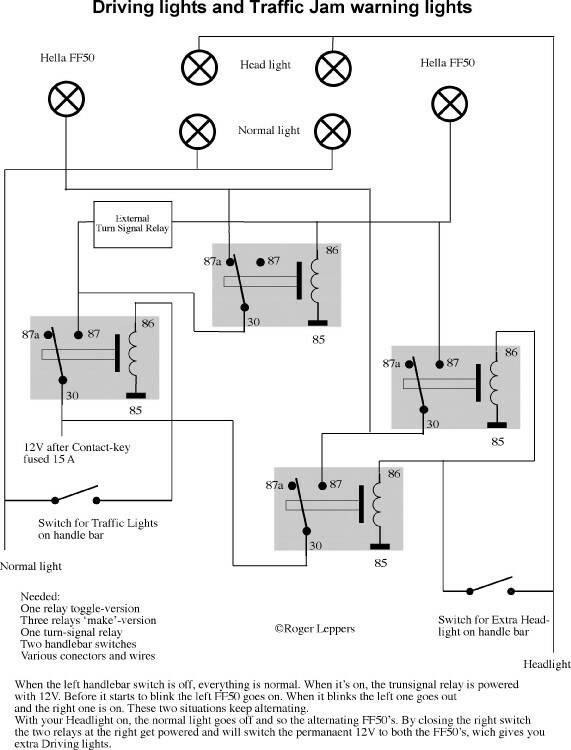 the circuit is activated only if the normal driving lights are on. for a huge amount of light in poor lightning circumstances.